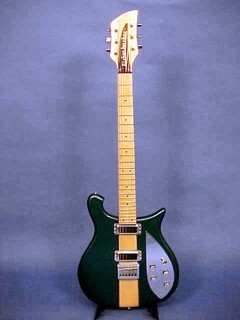 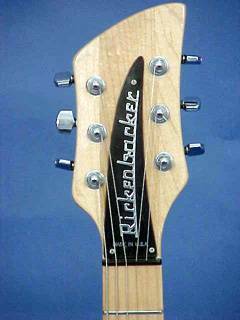 A model launched to commemorate the 60th aniversary of the production of Rickenbacker´s first electric guitars. 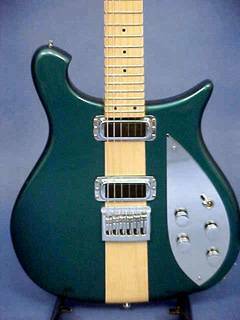 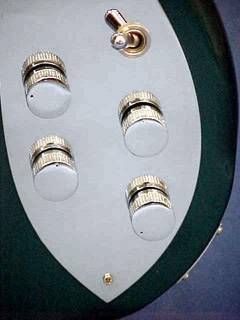 Finished in vintage turquoise, the all-chrome plated parts, including knobs and pickguard. 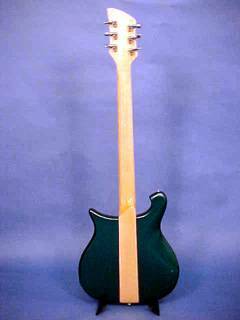 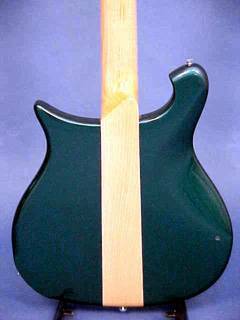 A solid maple neck runs the full length of the body. 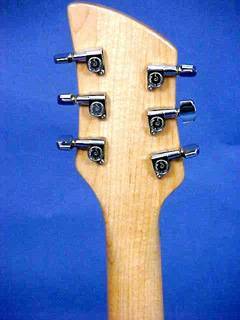 Fretboard with dots . 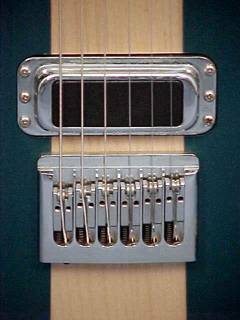 Two humbucking pickups.